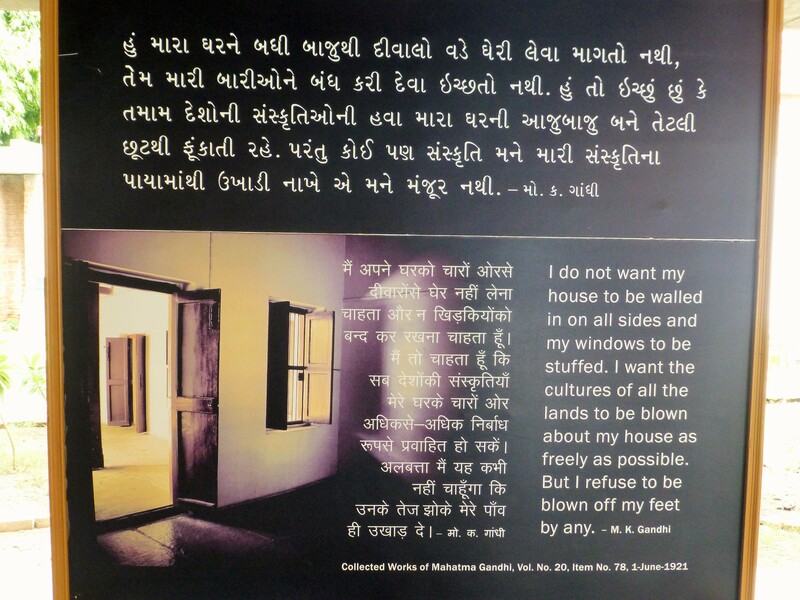 In August this year, I had the opportunity to visit Ahmedabad. It was such a marvellous experience, I had mentioned quite a lot about it in my previous post. 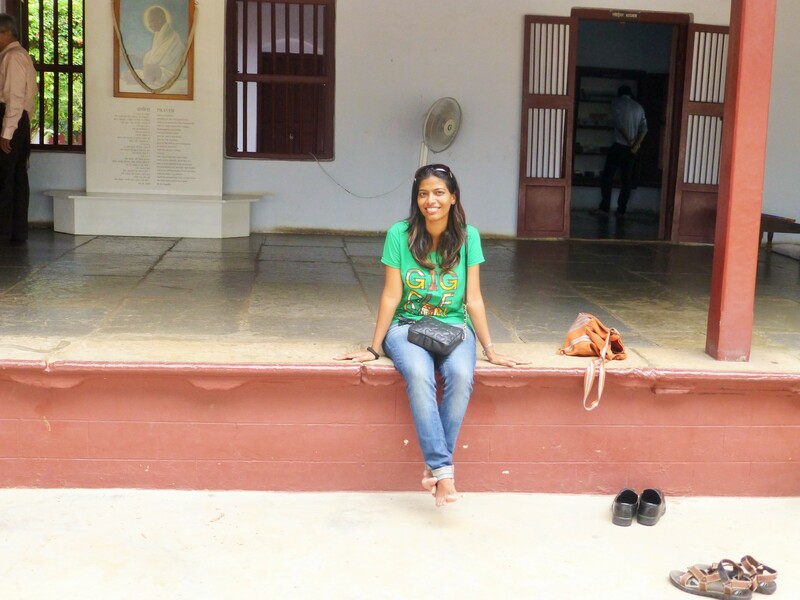 Here I’d like to share my experience in relation to India celebrating Gandhi Jayanti today. 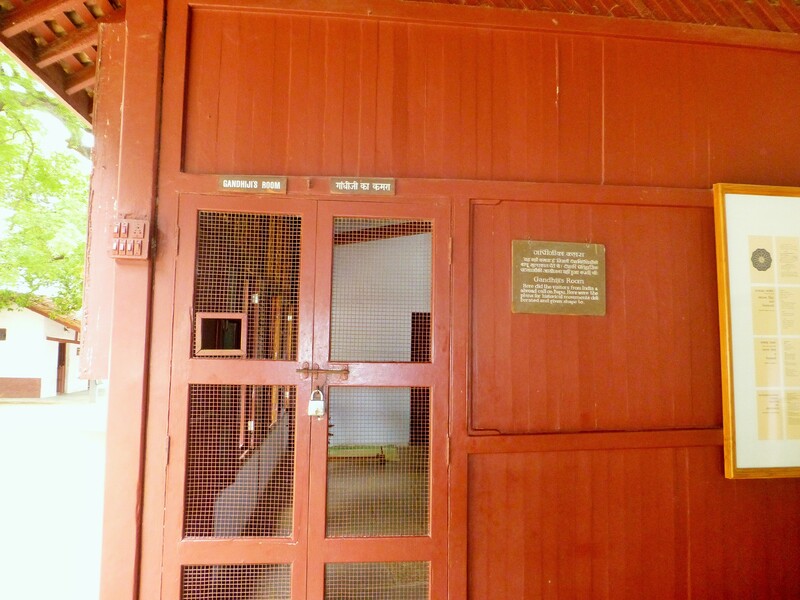 Even before reaching Ahmedabad, I had made a “To go to” list, on which the Sabarmati/ Gandhi ashram was at the top. 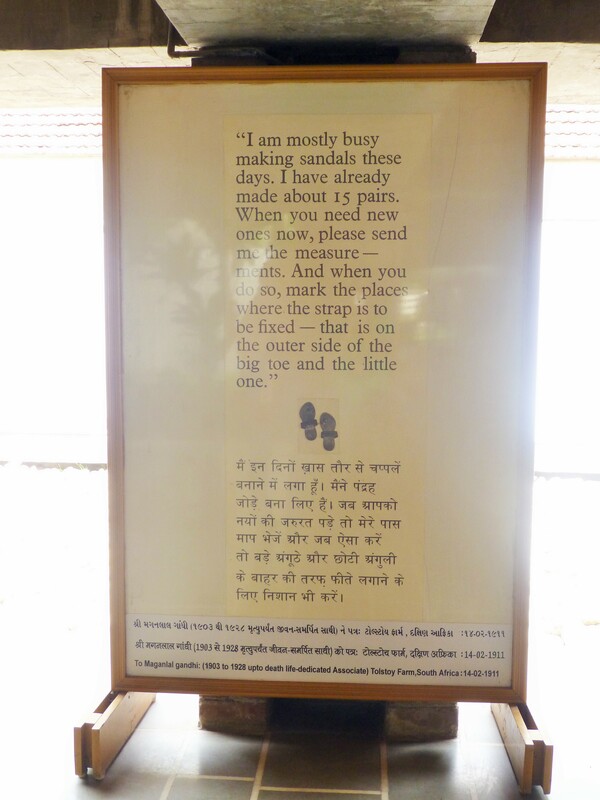 Although the temperatures soared then, we made it to this ashram. Visiting this place is an experience by itself. 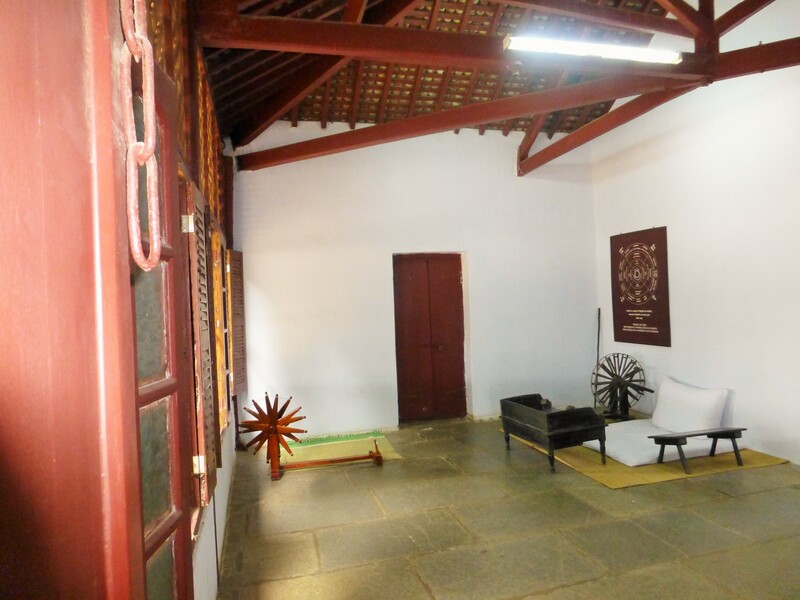 As soon as you enter the ashram, you instantly get this calming, soothing like feeling. Everything is so quiet and peaceful, even though there are ample visitors present. It’s like entering a church or any holy place for that matter. 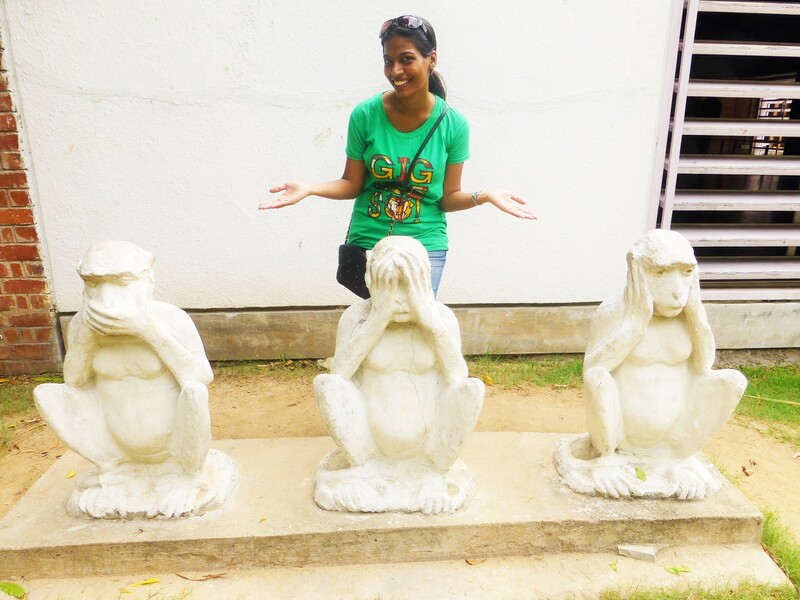 People automatically know this is a place of respect, not a picnic spot. 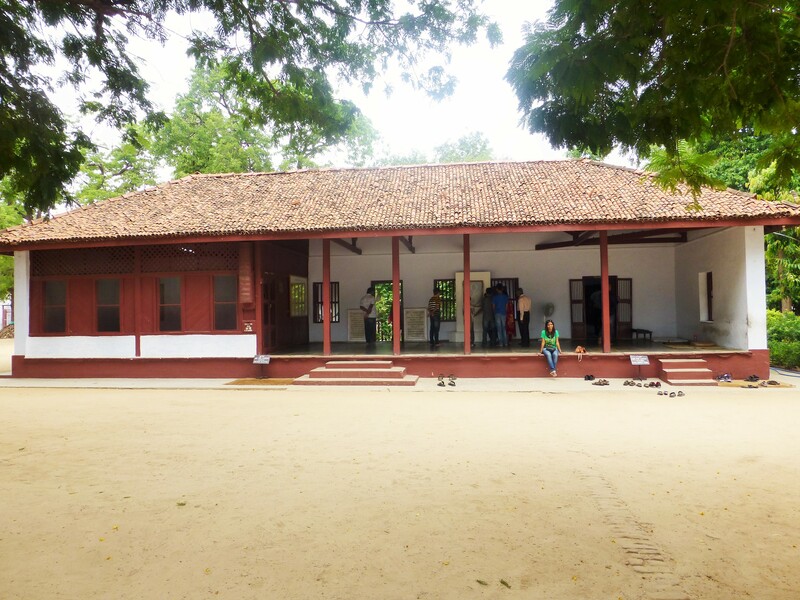 The ashram was full of collages, frames of Gandhi’s quotes, frames of his letters and signatures, there were black and white pictures of Indira Gandhi as a child with him, of Gandhi with children. There was plenty information about his and his family’s lives, the principles he believed in, about peace and simple living. 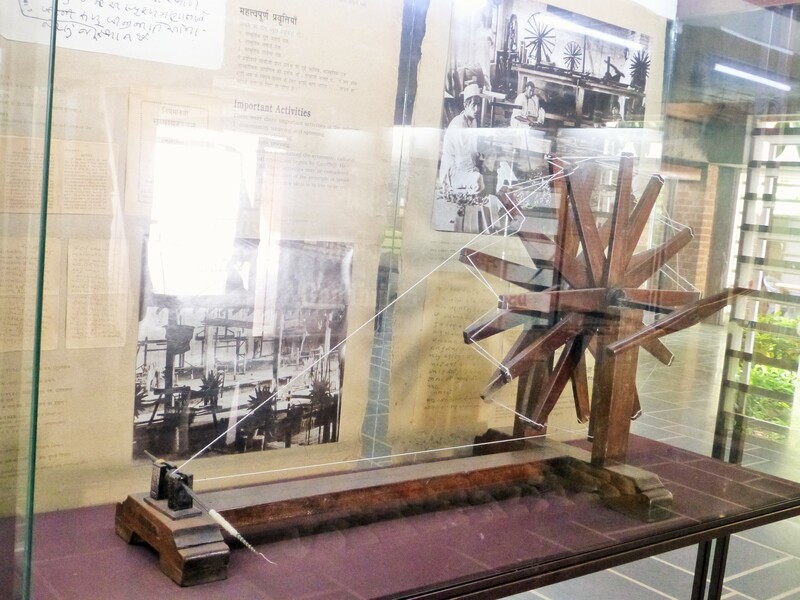 I remember reading on one of those frames, Gandhi said there’s nothing about this life that the world doesn’t know. I’m glad the authorities have maintained the place as it was. 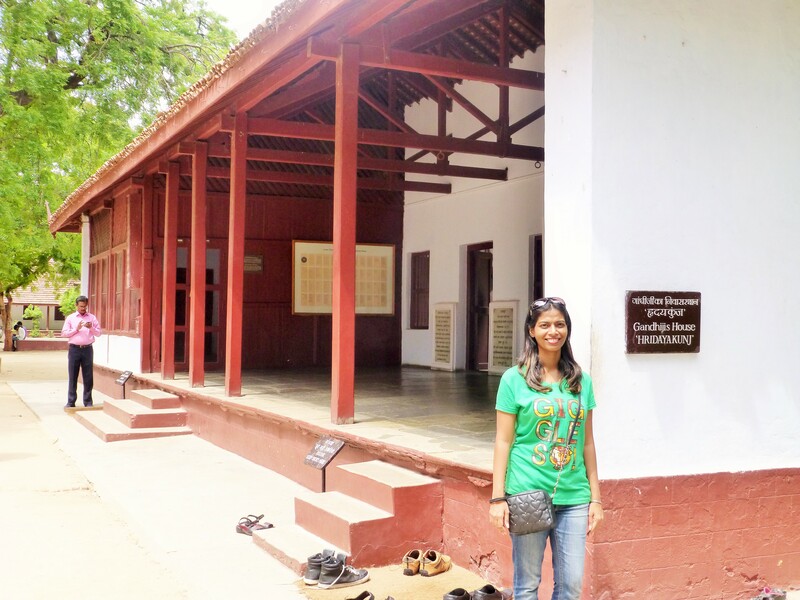 Gandhiji’s house is simple, not cluttered at all. It shows, that besides a man of principles, he was a man who lived a very basic life. 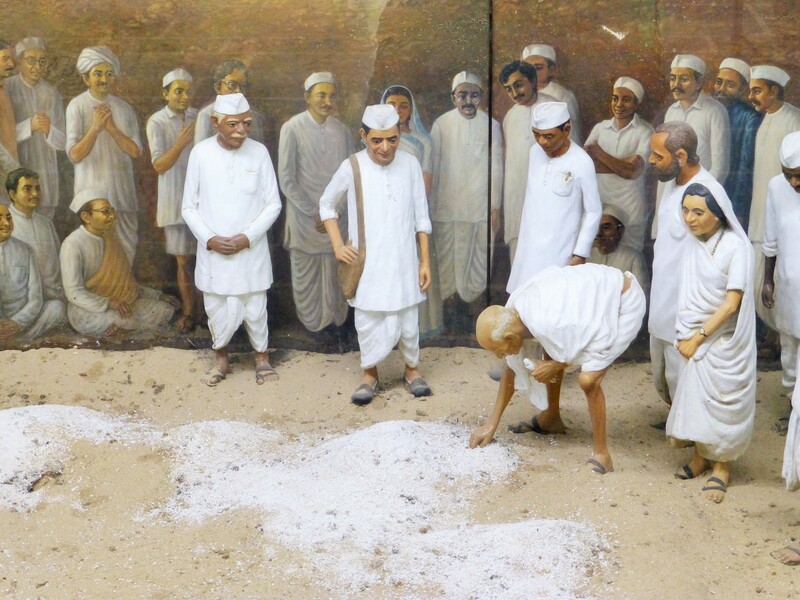 Just the thought of me standing in the place where he decided and planned the well known Dandi march to revolt against the salt tax gave me goosebumps and all those History chapters came back to mind. 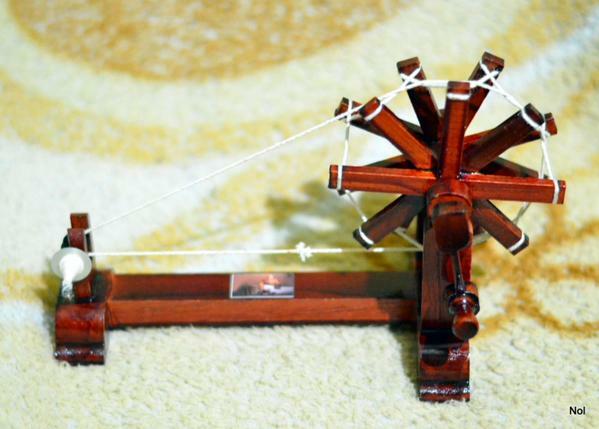 What’s awesome is that it actually works and spins cotton into thread. I was excited as a child on seeing how it worked. I’m not sure if wishing everyone a Happy Gandhi Jayanti is a thing, but here’s hoping we inculcate some of those tough values in our day-to-day lives, especially in these days of war and violence. If nothing else, wishing everyone Peace. I always wanted to visit !! Lovely ! It’s never too late. 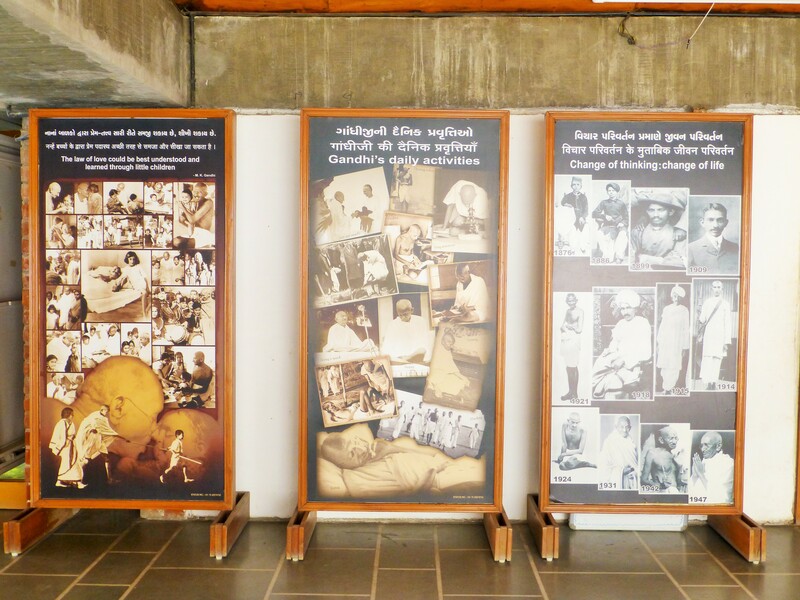 Plan a trip to Ahmedabad, and make sure you visit the ashram. Enjoy. Beautiful place. 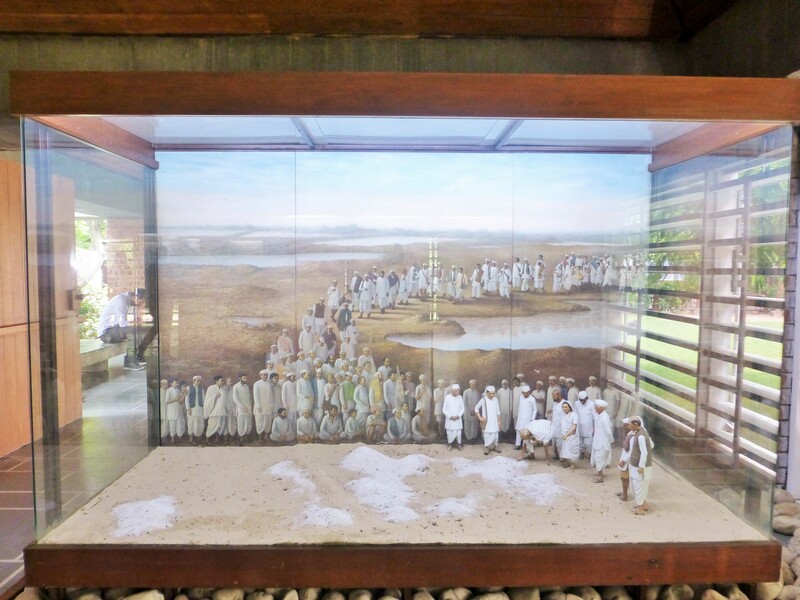 I’ve always wanted to visit the Gandhi Ashram in South Africa, since that’s where it all started. But I’ll be sure to add this to the list as well. Oh you absolutely should Sonu. From what I’ve seen myself, I think they’ve retained quite a lot of it’s originality. You just sort of get transported to another era. Have fun.